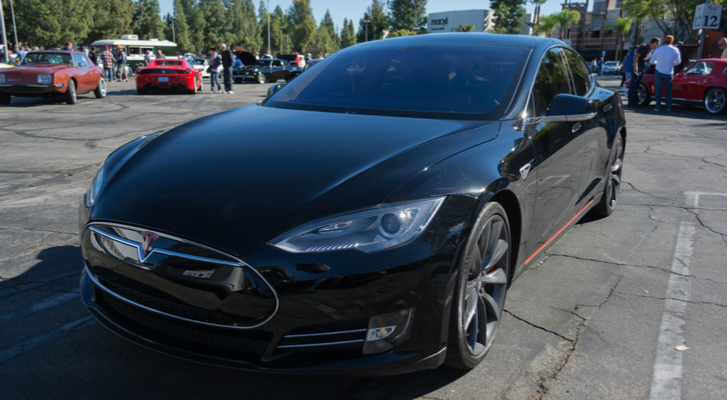 Tesla (NASDAQ:TSLA) got some really good news recently that bolstered the case for TTesla (NASDAQ:TSLA).stock. Stocks kicked off December on a strong note after the U.S. and China agreed to a ninety day trade war truce that would allow for further discussions. Importantly, the deal delays the prospect of bigger tariffs in 2019, which is a big positive for auto stocks. This is especially good news for Tesla. The electric vehicle manufacturer has been on fire everywhere lately. That is, everywhere except China. While all the big idea trends from production ramp to market share gains to sustained profitability have been moving in favor of Tesla, TSLA stock has been held back recently by struggles in China. Namely, tariffs have forced Tesla to raise prices in China, and that has diluted demand. But, those tariffs are either being reduced or going away entirely very soon. Thus, yet another headwind will turn into a tailwind for Tesla stock. Over the past several months, we have seen multiple headwinds turn into tailwinds. Production shortage is now astonishing production volume. Lack of profitability is now surprisingly large and presumably consistent profitability. Each of these headwind to tailwind transitions has pushed Tesla stock higher. The same will happen here. As the China tariff headwind turns into a robust China growth tailwind, TSLA will head higher. As such, this is a winning stock that will stay winning for the foreseeable future. Tesla’s biggest problem right now is China. Most things have been going great for the electric vehicle maker. A few months ago, the company was struggling to make 1,000 Model 3 vehicles a week. Now, they are pumping out 1,000 Model 3s a day. Also a few months ago, Tesla was massively unprofitable. Today, Tesla is profitable and projects to get only more profitable. Meanwhile, Tesla has gone from tiny market share to dominant market share in the luxury car market. But, the one thing that hasn’t been great for Tesla is China. Reuters reported that Tesla vehicle sales in China sank 70% in October. While the company has since come out and called that report inaccurate, Tesla is without a doubt struggling in the China market, mostly due to tariffs. Back in July, due to escalating trade tensions, Tesla had to raise the price of its vehicles by over $20,000. As one would expect it to, the price hike had an adverse affect on demand. Tesla doesn’t like losing market share. So, instead of keeping this price hike, Tesla reduced the prices of its China vehicles last month and said they would absorb the tariff hit. Thus, the outlook was for Tesla to sell more lower-margin cars in China, which isn’t a great near term proposition. Now, the outlook is much better. With tariffs in the auto industry reportedly being reduced, Tesla will be able to sell its cars at normal prices and at normal margins. Thus, the same ramp that happened in the U.S. over the past few months, should happen in China over the next few months. If so, such hockey stick growth in China could propel Tesla stock higher. For a long time, one of the biggest knocks against Tesla stock was that it’s unparalleled volatility made it too risky. That argument had tremendous merit over the past year, during which TSLA stock has frequently gained and dropped 20% in multi-day stretches on odd catalysts like tweets. But, this volatility has all but left the stock since the company’s blowout third quarter report in October. In that report, the market got confirmation of three major things: production and delivery ramp is proceeding at a healthy pace, the company is profitable, and improving operations mean an additional capital raise likely isn’t happening any time soon. Since then, those three tailwinds have improved investor sentiment and pushed this stock steadily higher to levels just shy of all time highs. During that stretch, the S&P 500 has tumbled, while many of other big name tech stocks have dropped into bear market territory. In other words, TSLA stock has managed to roar to essentially all time highs while the rest of the stock market has faltered. That is impressive resilience for a stock that was once considered too volatile to touch. The implication? The most volatile days for Tesla stock may be in the rear view mirror. With all the big idea trends now moving in favor of this company, TSLA stock seems to have found its footing. Over the next few months, as Tesla sells more cars and becomes more profitable, this stock will only head higher. The tailwinds keep growing for TSLA stock. A few months ago, no one really knew if this company could hit Model 3 production targets, let alone do it profitably, and that uncertainty created big concerns surrounding the balance sheet. Today, though, Tesla is producing 1,000 Model 3’s per day while running a sizable profit, and all those balance sheet concerns have dried up. A reduction of China auto tariffs is yet another positive development in the Tesla narrative. As such, this is yet another catalyst that will propel TSLA stock higher over the near to medium term. Article printed from InvestorPlace Media, https://investorplace.com/2018/12/tailwinds-stronger-tesla-stock/.